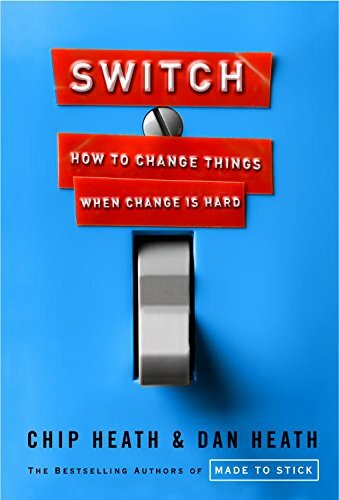 Switch, by Chip and Dan Heath, is an excellent book to read after The Righetous Mind, by Jonathan Haidt. Some parts of it just flowed and reinforced. Switch is all about changing your habits or changing other people's actions. There's three steps to doing it, if you consider that people are mostly elephants (emotion) with a little, tiny rider (logic) to sometimes control the elephant. Basically, you make an appeal to the elephant and the rider. Then you set up the path to make it really easy for the elephant and rider to follow that path. It's an excellent book with fine examples.